There’s a lot of ways to have fun in Angeles City, Philippines. 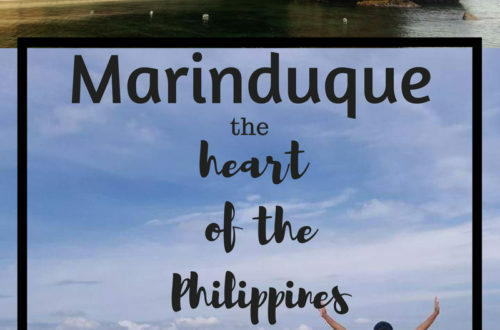 The rich culture, warm connection with the locals and great places to check in are to explore in Angeles City, Philippines. First of all, the Hot Air Balloon Festival. Quoted as the “weekend of everything that flies”, Hot Air Balloon Festival in Angeles City is the fun weekend that full of activities that every family and group of friends can enjoy. Usually two-day festivals that are full of activities held on February at Clarkfield, Pampanga with. Hot air balloons flights, aircraft flights, skydiving and series of concerts are few of the activities during the festival. Northern Philippines is known not just with the fascinating places to go to but also with the food. Above all of the food fests is Angles City SISIG FESTIVAL. 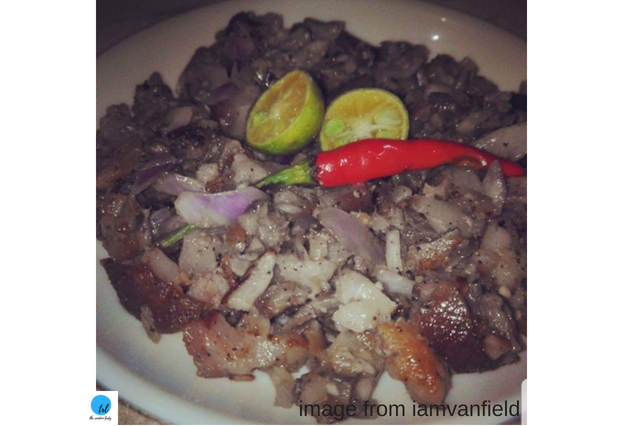 Sisig is a pork dish, dice pork (ear, jowl and snout part) grilled with onion and some spices and serve in a sizzling plate. Anthony Bourdain tried and say that “Sisig is exactly what you need after a few beers and that a perfect food”. Often serve as “pulutan” (food or snacks provided as an accompaniment to alcoholic drinks), this Filipino dish is a must try and can be experienced best in Angeles City. Moreover, aside from the famous Sisig Festival, Angeles City host different kinds of Food Fest held in different. 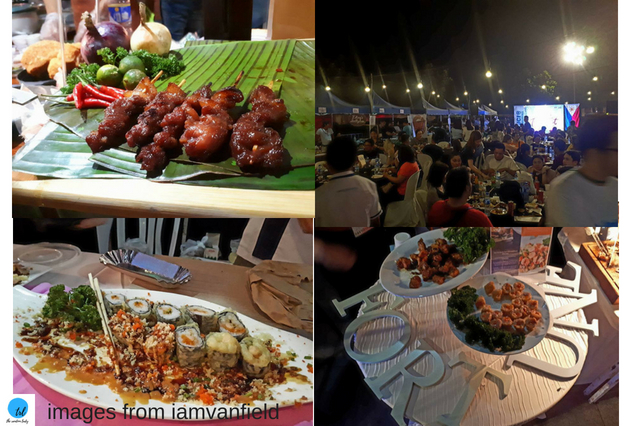 These are Culinary events that showcase different and mouthwatering dishes from different places in Northern and some part of the Philippines. People are given the chance to experience food from the local restaurants and from other provinces. Ever been to Octoberfest? Therefore, explore Angeles City with this street party called “Tigtigan Terakan King Dalan” (literally means Music and Dance on the Street). 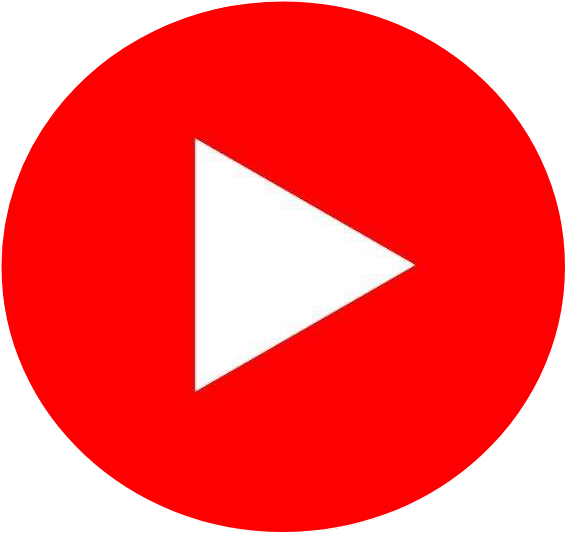 This is an annual event that attracts hundreds of thousands of party goers. The history might have been forgotten by current generation that this event is originally created to show the resilience of the Filipinos, especially Kapampangan (locals from Pampanga). Because of the tragic and devastating eruption of Mount Pinatubo in 1991, Angeles City was a ghost-town like.Consequently, with the goal to encourage and uplift the spirit of the community, Kapampangan rise and inspired to created “Tigtigan Terakan Queng Dalan” in 1192 to inspire the locals of Angeles City. Filipinos, together, show strong spirited community through adversary. And nowadays, Tigtigan Tekaran King Dalan continue to grow its popularity. Beer, food, entertainment and many more for this kind of street party. Angeles City is a home for Sinukwan Kapampangan Center for the Arts. 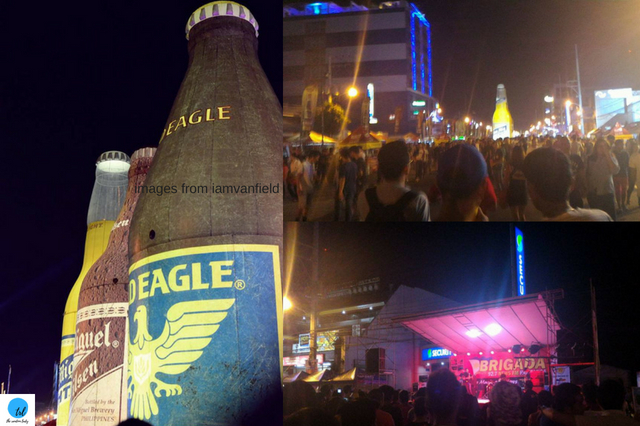 Angeles City is not just a place for festivals, the city is also for rich culture. 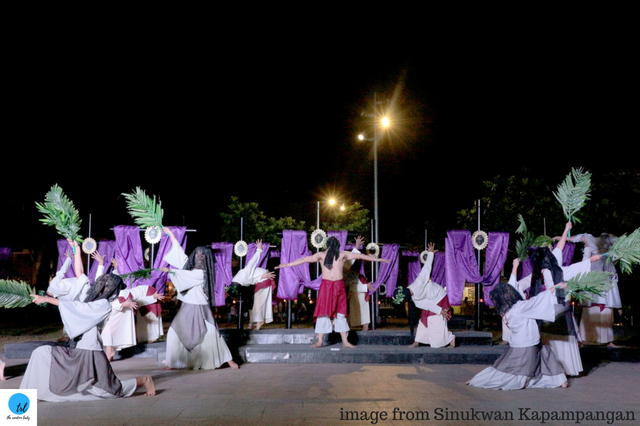 Sinukwan Kapampangan Cultural Center for the Arts showcases Filipino and Kapampangan cultures through dance, song and music. Interpretation of history, stories less known to the modern community and awareness of the current issues and event are one of the fews that Sinukwan Kapampangan presents. 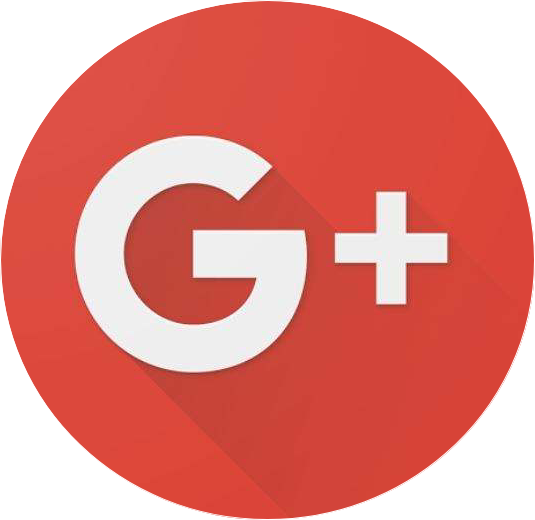 Check Sinukwan Kapampangan facebook for upcoming events here. The image above is Sinukwan Kapampangan’s annual “Panata at Panalangin”. Certainly, this event interprets Christianity: life of Christ during holy week (around March or April). There’s a lot to see and to do in Angeles City year round. There are malls that will cater you and your family needs. Parks to enjoy outdoor activities. A lot of restaurants with different cuisine to choose from. If you like going out and likes walking to explore, one of a must try in Angeles City is the JUMBO MARGARITA in Margarita Station (Fields Avenue, Angeles City). 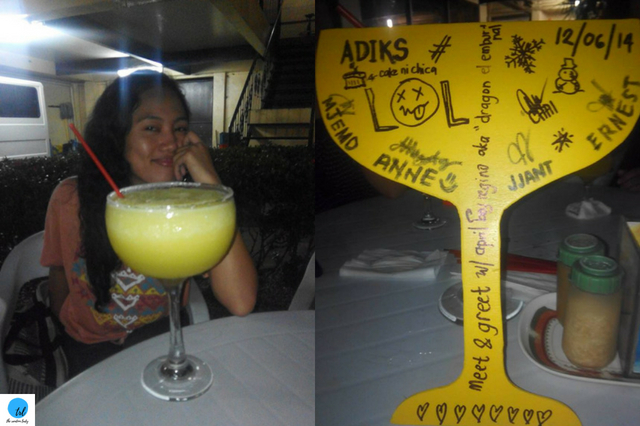 This Jumbo Margarita comes with a margarita glass-shaped wooden souvenir that you and your friends can make a mark on the Pub and on the City. 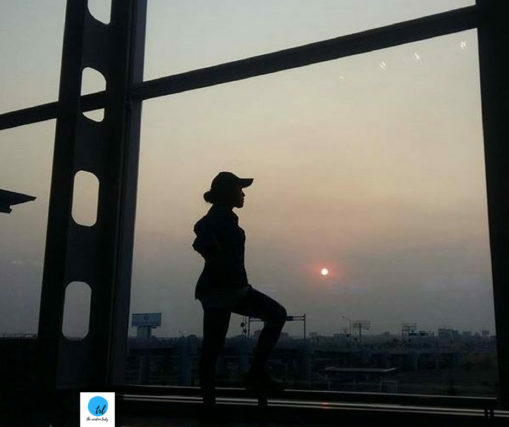 Moreover, if you love to jog while on a trip, enjoy a walk or run in different parks. 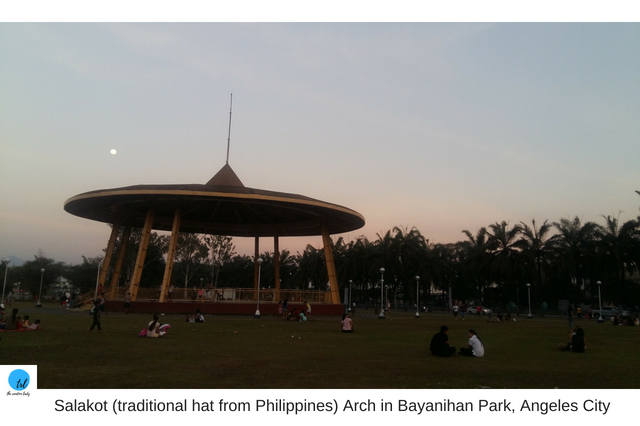 Bayanihan Park is accessible park to explore the city while shedding some of the last night’s dinner. 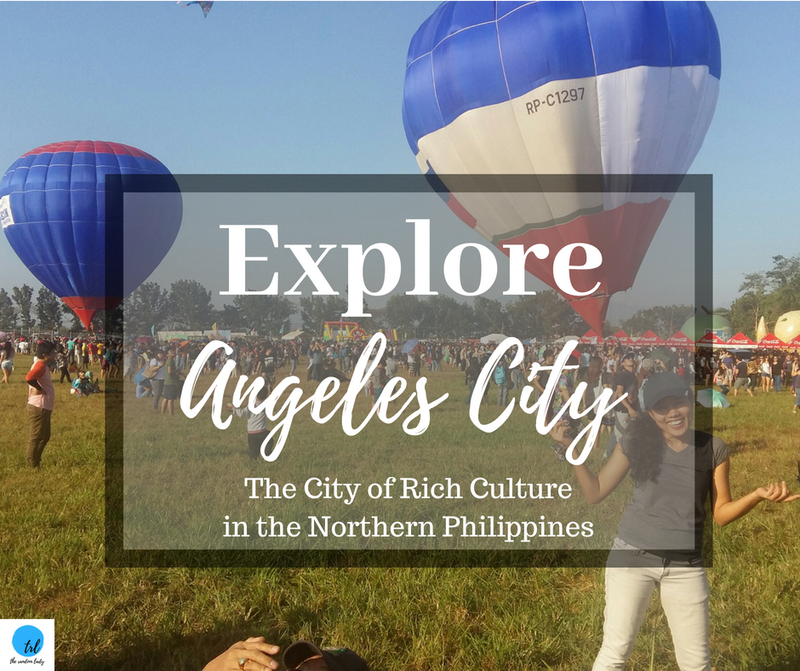 Next time you go to Philippines, go north and explore Angeles City to experience rich culture and have fun. 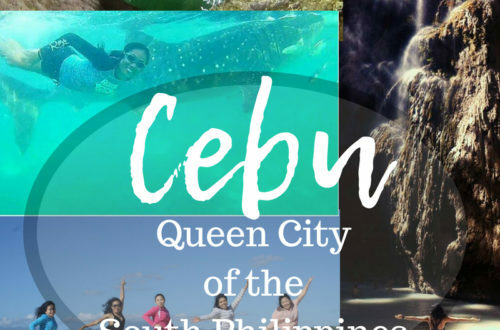 CEBU CITY is the PHILIPPINE’S QUEEN CITY OF SOUTH, CLICK HERE TO KNOW WHY. Don’t hesitate to ask and email me therandomlady.chai@gmail.com. 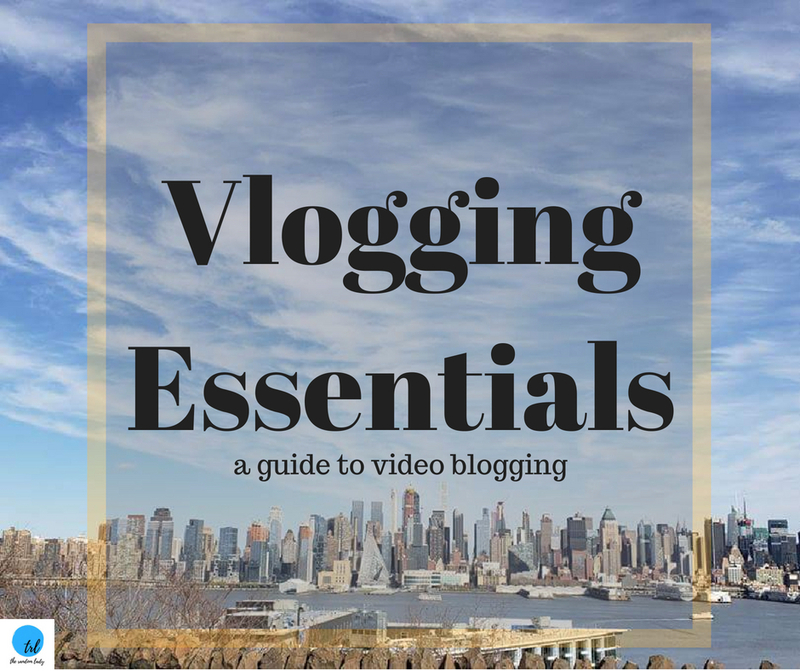 I hope you find this helpful to guide you explore Angeles City, Philippines. I’ve always wanted to see these areas in the Phillippines. I hear they’re beautiful during this time of the year. This hot air balloon ride looks like it would be so incredible. I have always wanted to do one of those! I would like to visit the Arts Center there. I love the Arts. I have been to Cebe few years ago and love the Philippines food very much. I would love to attend Sisig festival and food fest and try the pulutan! It is definitely a festival to enjoy the food and company! Thank you. I would love to go to Angeles! It looks beautiful and very fun. Now I have a really long bucketlist for things to see. This looks like an amazing time. I need that food. I was really excited about the different shaped hot air balloons. I didn’t even know they can in shapes!!! So neat. I never really thought about going to the Philippines before, it looks beautiful though. May need to add it to my want to do list. Going to a hot air balloon festival is totally on my bucket list!! The balloon festival looks awesome indeed. That would make a wonderful day out for all the family. I love hot air balloons and would make a point of attending this festival if I’m ever in the Philippines. Thank you, Nancie. It’s nice hearing from you. 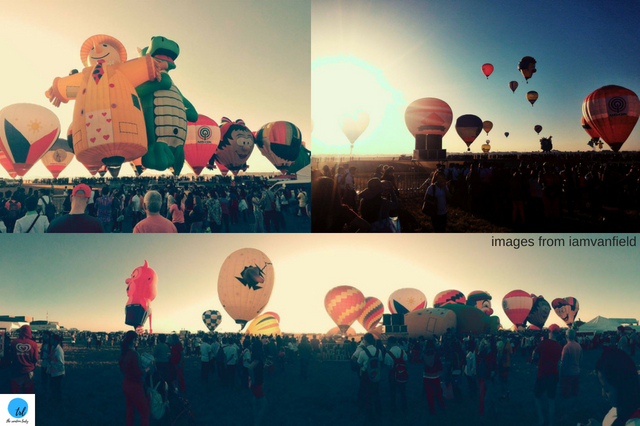 There is a huge hot air balloon festival in New Mexico every year…I used to love going when I lived there! You got to love a festival that has some good food. Thanks for sharing! Wow, that is one huge drink! I always love attending food festivals, so it would be cool to go to one while on vacation to try a different cuisine. The travel food pics always get me. Angeles city is a very beautiful place. Yeah it looks everybody is having a good time. Sending the night with closest persons is really priceless. Great to have good spots for leisure time like yours..
Looks like a great place to visit! thanks for sharing these insights. We most certainly have this on our list ! What a refreshing post about a part of the Philippines that I haven’t heard before. I might have to check this area out for the food festival! And then go for the dance and music festival! Wow…… A must try adventure…… Fun filled activities that will surely change your weekend. Phillopines- Looking forward to going there this December. OMG the food fest and festival looks incredible! Thanks for helping us spot a new destination. We love to explore new foods and Sisig Festival and Food Fests do sound like a calling! I’m near at Angeles city! HAHAHAHAH! This is very appreciating to post I’ve been there at hot air balloon also the October fest tigtigan terakan! Nice one Kabalen! The pictures you took of your food alone makes me want to visit! We are dying to visit LA, hopefully soon! It’s ANGELES CITY PHILIPPINES. Hope you can check on it, It’s a beautiful City! The hot air balloon festival and the food festival look incredible. I’d love to visit Angeles City. There seem to be so many fun activities to do and attractions to sight-see. Wow I never been there. Thanks for sharing! I will love to visit Philippines some day, I have read so much of this place of late.